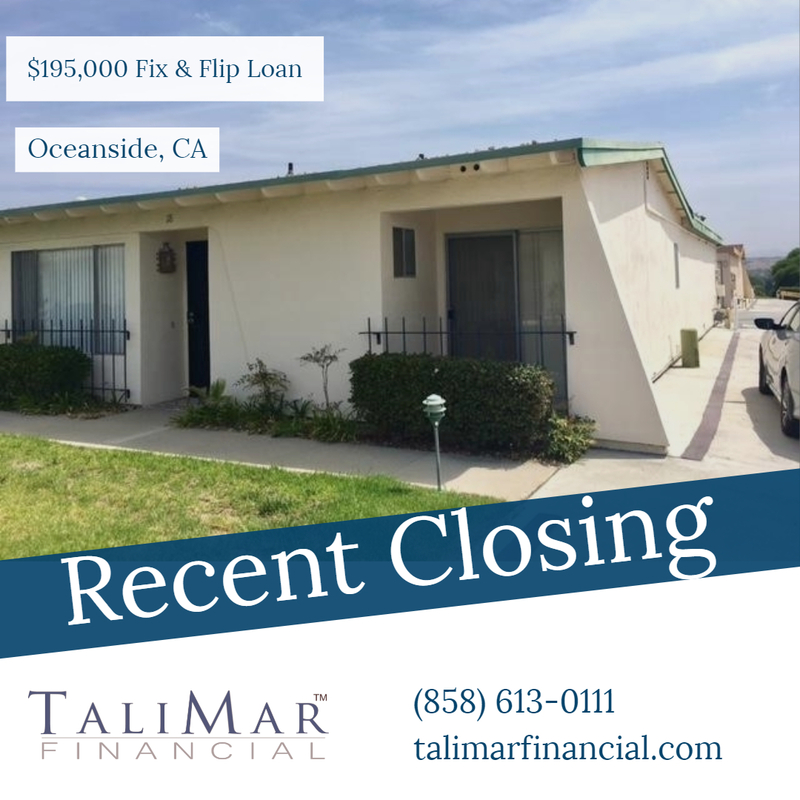 Oceanside, CA – TaliMar Financial is pleased to announce its recent funding of a $195,000 Fix & Flip loan secured on a twinhome located in Oceanside, CA. The experienced Borrower intends to cosmetically updated the Subject property prior to listing it for sale. TaliMar Financial will be repaid through the future sale.